“The uncommon beauty in common things” (Charles Eames) characterizes the beautiful collection of stationery products created by TOOLS to LIVEBY. Dedicated to beautiful vintage stationery, TOOLS to LIVEBY has created their first collection of office accessories such as scissors, paper clips, binder clips, leather goods, tape and canvas bags. 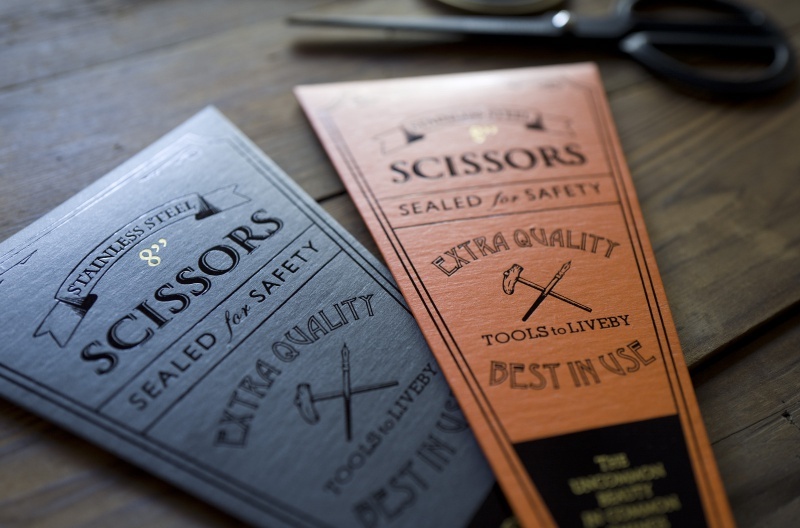 TOOLS to LIVEBY is a Taiwanese based stationery company that wishes to change the scene of our desks by offering the finest instruments. With their own first collection “The Old Goods”, TOOLS to LIVEBY re-vitalizes the beauty of classic, disappeared goods with new refinement, modeling and packaging. Enjoy these aesthetic everyday tools in your daily life.